The choir was delighted to hand over a cheque for £2,000 to Laura Irwin from the charity, Action Mental Health, at this evening’s choir practice. Laura was delighted to be able to come to Ballyclare to firstly listen in to the end of the practice and then to accept the cheque on behalf of the charity. She thanked the choir once again for the magnificent effort put in to raise so much and assured everyone that it would be put to very good use in the work of the charity. 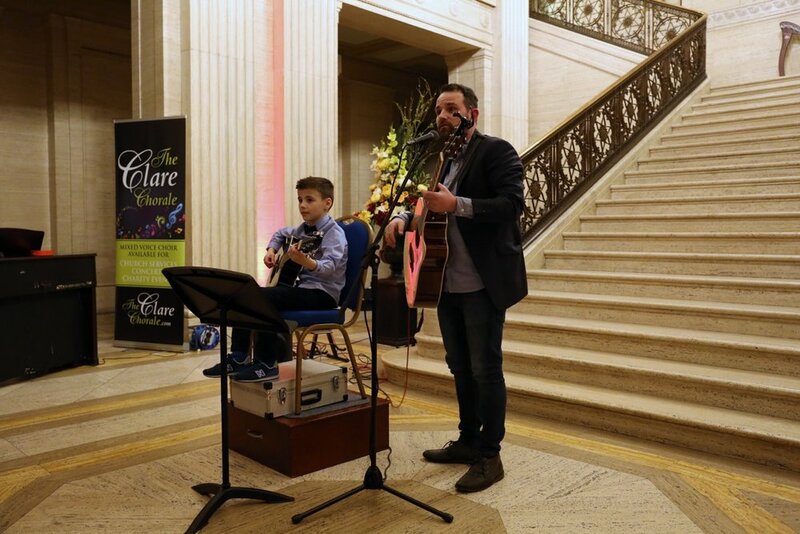 The money was raised at a concert in The Great Hall, Stormont just a few weeks ago. 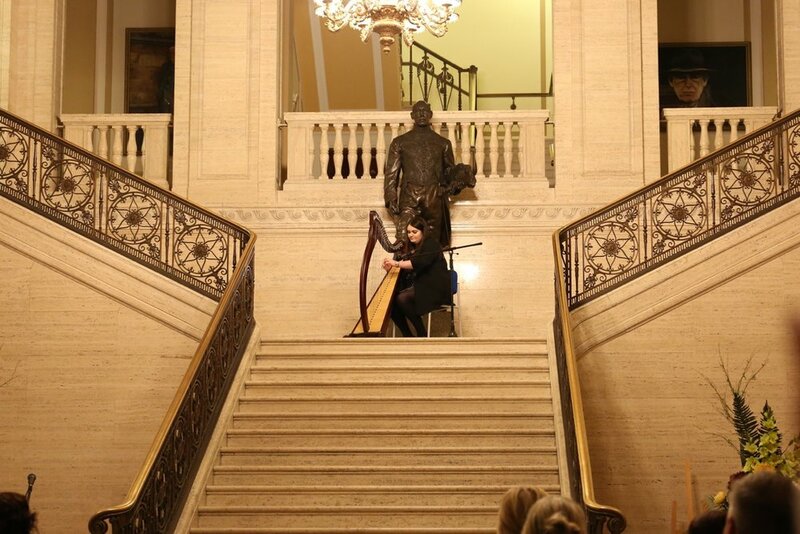 The choir held another very successful charity concert again in The Great Hall at Stormont this evening. The concert was sold-out as choir supporters and families and friends of the guest choir from Kilbride Central Primary School filled the venue to capacity. The charity being supported this year is Action Mental Health and it will be a pleasure to hand over a cheque to this worthy cause in the near future. 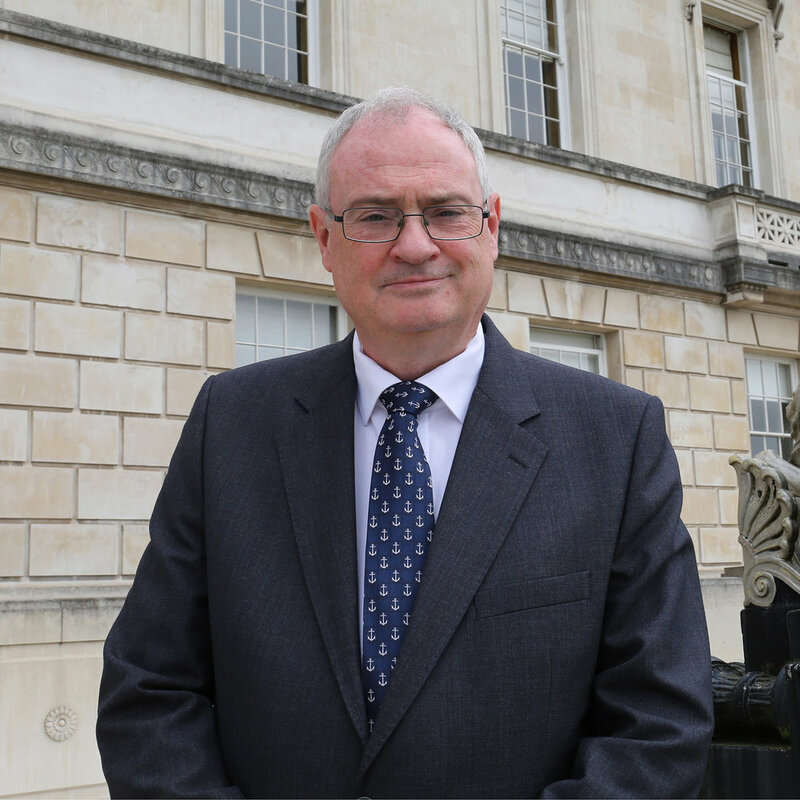 The concert was sponsored by Dr Steve Aiken OBE, who is the MLA for South Antrim. 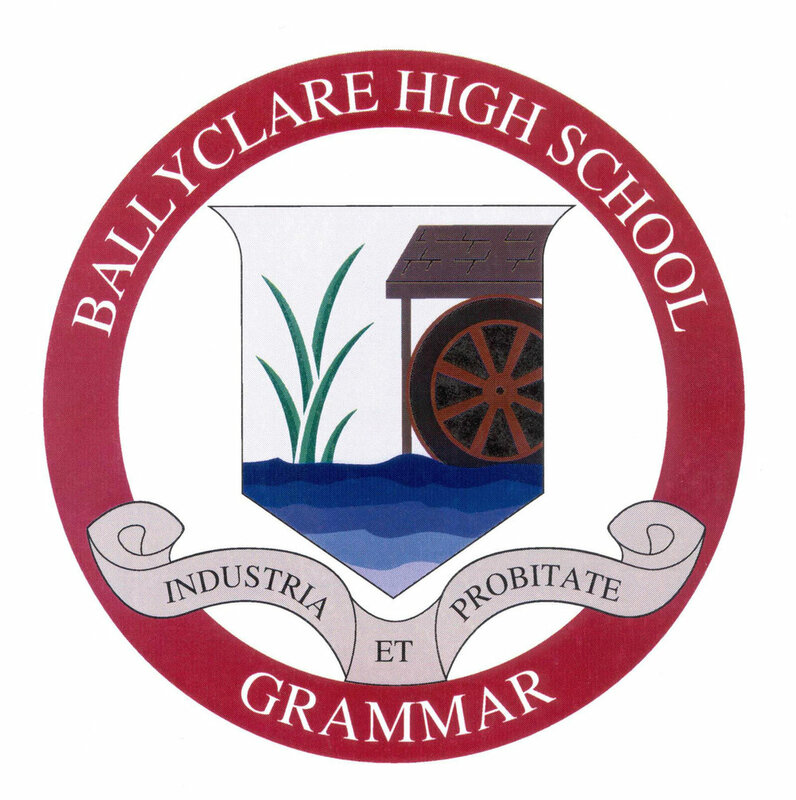 Ballyclare High School flautists were Emma Blacoe, Corran Crawford and Abigail McQueen and they played the ‘Flower Duet’ from the opera ‘Lakmé’ by Léo Delibes and ‘Three Little Maids’ from the Gilbert and Sullivan opera ‘The Mikado’. Kilbride Central Primary School sang ‘Here I am Lord’ and ‘So I’ve Made up my Mind’ in the first half followed by ‘Onward Christian Soldiers’ and ‘For God so Loved the World’ in the second. Irish dancers, Madeleine and Sophia Morwood danced two reels and jigs accompanied by Darren Baird. The Clare Chorale accompanied Erin McWilliam and Katie Leckey from Ballyclare High School as they sang ‘Pie Jesu’. Annabel Wilkinson, another singer from Ballyclare High School, sang Memory from the musical ‘Cats’ by Andrew Lloyd Weber. Darren Baird and Sheelagh Greer played ‘Danny Boy’ as a duet on the piano. Laura Irwin represented the charity and gave a short talk on the work done by Action Mental Health across Northern Ireland. For photographs of the event see the Gallery page on this website. The Clare Chorale made its way to the city of Armagh this afternoon to join choirs from all over Ireland in a celebration of St Patrick in the magnificent setting of St Patrick’s cathedral. It was a wonderful evening of song, music and dance produced by John Anderson for a programme to be broadcast across Ireland and beyond on RTE 1 on St Patrick’s Day at 9:45am. The choir had a very successful Christmas concert in Portstewart Presbyterian church hall on what turned out to be a very wet evening. Despite the inclement weather the concert was well supported and the hall was well filled. A warm welcome was extended to everyone by Rev. Terry Laverty and the concert opened with the choir singing Alexander’s Ragtime Band which was the first of a number of secular pieces making up the first section. Bernard Loughrey and his band then took over the entertainment duties before the choir sang the first of two groups of Christmas songs. It was very much audience participation as everyone joined in a festive singalong in both halves which very much added to the Christmas atmosphere in the hall. A very famous Portstewart ice cream maker supplied refreshments at the interval. Brian Johnston, a very good friend of the choir, was compere for the evening and he was very well received with his hilarious stories and jokes. 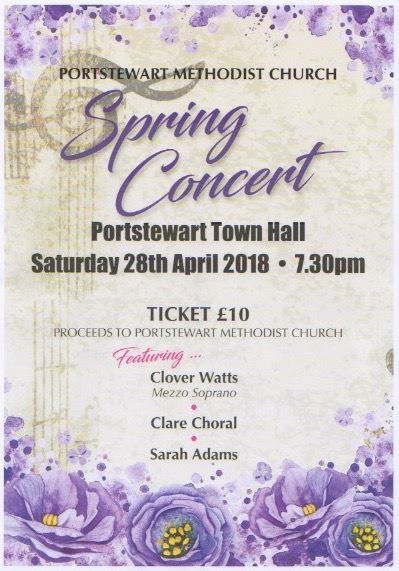 It was a thoroughly enjoyable evening and special mention must go to the church’s Cathy Martin and her team for all the hard work that went into the organisation of this event. The Clare Chorale performed in the Great Hall, Stormont, in a charity fundraising concert to support the work of the Air Ambulance NI. Also taking part were guitarists Seth Scarlett and Thomas Hamilton, harpist Susan Bates and the senior choir of Fairview Primary School. This year the choir's annual concert was held in the Theatre at the Mill, Mossley and once again the house was full almost to capacity to hear the choir and special guests, Festival Brass, as well as the well-known comedian, Gene Fitzpatrick.